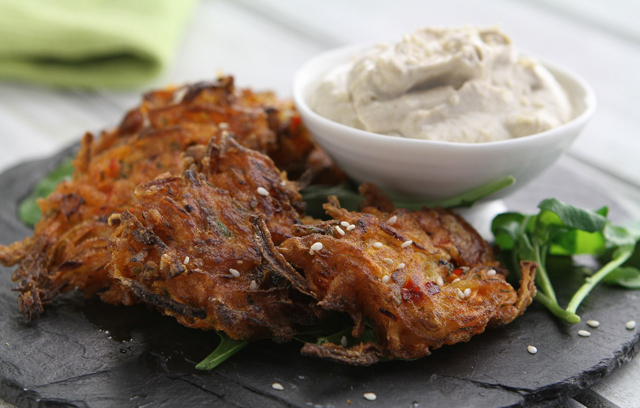 Simon’s carrot fritters are a fresh and crispy snack, which are perfect dunked in his cumin and tahini dipping sauce. They are very simple to make, and take less than 10 minutes to cook. If you don’t have carrots to hand, you could make these fritters with grated sweet potato, or with courgette with the excess moisture squeezed out.